Modern equipment has made monitoring one’s vital functions very simple. The biceps muscle is stretching the cuff fastened around it as a buzzing blood pressure monitor pumps air into the bladder of the cuff. Pekko Vehviläinen sits at his kitchen table, unfastens the cuff and peers into his iPad, which is connected to the blood pressure monitor with a cable. The reading on the screen is 137/75. The systolic pressure is slightly elevated, and Vehviläinen knows why. He slept for a measly 4 hours and 40 minutes the previous night. He did not fall asleep until 2:15 am, and fell into REM sleep twice – once between 4 and 5 am, and once between 6 and 7 am. Vehviläinen monitors the quality of his sleep with a sleep tracker, which, tucked away under the mattress topper, uploads the recorded data to a cloud service. It is 9:30 in the morning, and Vehviläinen is studying the data on his iPad. In addition, the tablet displays his weight, fat percentage and body mass index, as measured by a smart scale. The 43-year-old Vehviläinen has collected information about his body and health devotedly already for two years. He straps an apparatus the size of a matchbox around his biceps muscle, as he does every day. The small body analyser beeps. More and more such self-tracking devices, Vehviläinen believes, are beeping and buzzing in Finnish homes. An index finger placed on your wrist and a watch with a second hand used to do the trick; today, heart rates are measured with heart rate belts and smartphones. In fact, modern equipment has made monitoring one's vital functions so simple that it has grown into a phenomenon. In Finland, self-tracking geeks have a closed Facebook group with some 1,800 members and flock to self-tracking events in greater numbers than in many other countries, reveals Teemu Arina, a non-fiction writer and an expert in digital futures. 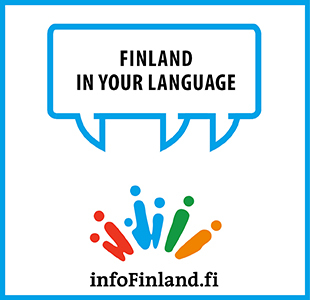 In particular, he says, Finns are eager to monitor their sleep, physical activity and weight. According to the Finnish Institute of Occupational Health, self-tracking has also been recognised by companies, lift manufacturer Kone being one of several to encourage its employees to exercise with a variety of tracking devices. Some refer to the hobby as biohacking, but Vehviläinen considers the term too technical and misleading. He does not hack anything but simply monitors his own body. The hobby does, however, require a handful of gadgets. Vehviläinen has invested over four thousand euros in self-tracking equipment and – in addition to his body analyser, smart scale and sleep tracker – owns four heart rate belts, two pedometers, a smart wristband, sports watch and smart shorts. Moreover, virtually every gadget requires another device to display the results and transfer them between a cloud service and the host device. The secondary device is generally a smartphone – Vehviläinen has five, because the app for smart shorts for example is only compatible with Android devices. Overall, he uses 11 apps. Naturally, Vehviläinen concedes, it would be more convenient if all the devices could communicate with each other and the results be monitored with a single app. He gets up from the kitchen table, takes four eggs from the fridge and breaks them. He removes the egg yolk and weighs the whites on a kitchen scale to make sure the portion is exactly the right size. He eats the same meal every morning; a protein-rich breakfast keeps his biceps firm. In April, Vehviläinen used the equipment to lose 2.4 kilos of body fat, falling 300 grams short of his target. On an average he burnt 682 calories more than he consumed every day. The gadgets, he says, are accurate enough for recreational use. Being a single man, Vehviläinen has time for his passion. In addition to long-distance running, he goes weight lifting, swimming, diving, bicycling, down-hill skiing and golfing. He is also a body combat instructor and has a brown belt in jujitsu. Vehviläinen is employed as a consultant at Accenture and develops and tests health and fitness equipment for a living. Rather than a job, however, self-tracking is his way of life. Recording, saving and analysing the data consumes most of his free time. The results he posts online for everyone to see. "I want to improve myself. I want to know where I am and where I'm going," he replies, pouring the beaten eggs into a hot frying pan. He rolls up the sleeve of his t-shirt and points at the body analyser strapped around his arm. "This device has taught me how to exercise and eat right," he says. Indeed, a recent physical exam indicates that Vehviläinen is in a better condition than the average 18-year-old man – his fat percentage, for example, is lower than 15. "Without the equipment and measurements I couldn't have reached my goals as easily," he says. The growing popularity of self-tracking, Arina estimates, is partly attributable to the fact that several electrical engineers and mobile developers have ventured into the domain after their exit from Nokia. Finland is already home to companies such as Suunto, Polar, Beddit, Firstbeat, Myontec, Omegawave, ActPRO, Aino Health Management, Emotion Tracker and Runteq. Vehviläinen is also a former Nokia employee, who in his doctoral dissertation studied data mining in mobile networks. Later, he realised that not all data is transferred between cell towers. "What could be a better source of data than your own body?"